I became a huge fan of The Duo from the moment I heard “Figure of Speech” in 2015. I have played it on my radio shows and gigs multiple times. 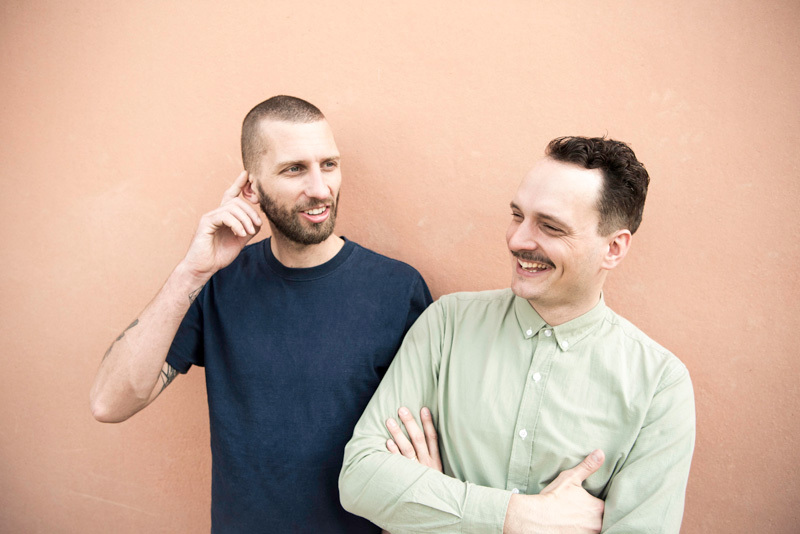 In my opinion, what makes Detroit Swindle stand out from other producers is that they brought complexity into their production. Everything is rich in their tracks. 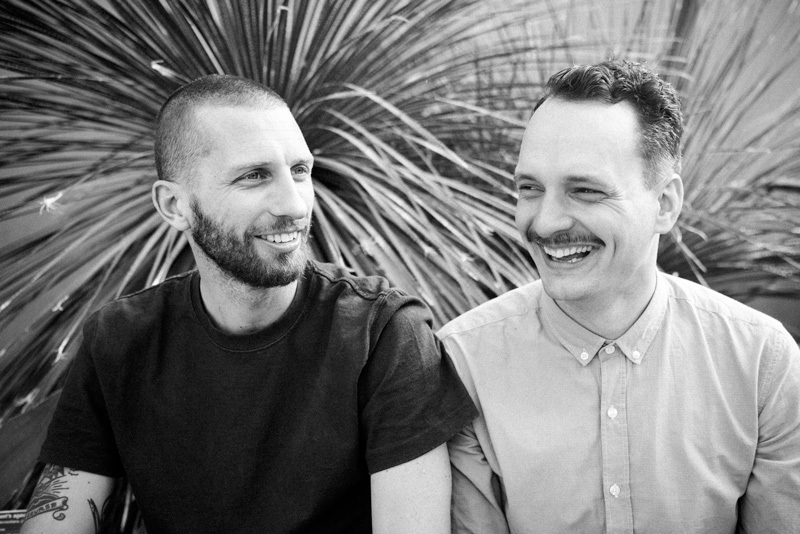 Detroit Swindle’s latest album that released last year is the perfect example of what kind of geniuses they are. 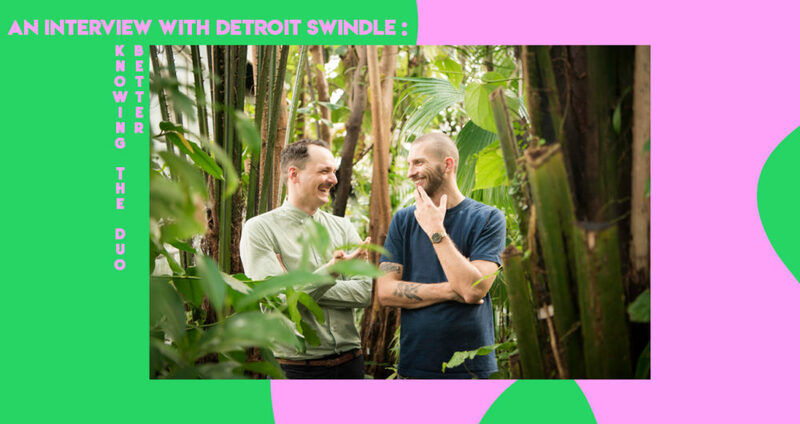 1) what were you guys up to before Detroit Swindle? What was that moment that inspired to do this together as a duo? Maarten: We both were already DJ’ing although, for me, it was more for fun than anything else. I worked as a copywriter for an Advertising agency. Lars was already DJ’ing full time and hosting events. He also booked DJ’s for a couple of bars around Amsterdam and I played at one of them. At one point, Lars had to talk to me about the music I was playing at the bar and how the venue wanted me to play other stuff. I really liked the music I played, so I decided to stop playing there, but that was the starting point for us to talk about music some more. We found out there was a lot of music we both liked and we also had the same feeling about the scene in Amsterdam at that time, which felt a bit empty, and without any soul. That’s when we decided to get into the studio together and try and make a difference. 2) Working as a Duo, what are the things that you guys usually fight about? Is it about gigs or about production? lars: We don’t fight a lot actually, but we argue about thing every now and then. They’re not really related to the music though, just general life stuff, or about travel. Musically, we’re usually quite well aligned and also open for each other’s idea. When we’re in the studio, it’s sometimes hard when Maarten doesn’t like an idea I worked on and that always takes time for both of us to move forward to something we both like, but in the end, we always find common ground. We still stay true to our agreement that we only put out music that we are both behind for 100%. 3) What are the musical backgrounds of each of you? Were you guys DJs first or Musicians first? Maarten: We were both DJ’s first, although we’ve messed around with production from quite early on. My earliest memory of messing around with music production was with one of the first versions of Reason, but I think that if I’d listen to the stuff I was doing back then, I’d laugh really hard. Back when I was young, I used to mess around in my friend’s garage playing on the drum and we’d record these demos of covers we’d play of Nirvana, Bush, Sublime and stuff like that. Lars: I’ve been doing edits for different styles of music for a long time and I’ve played literally every genre known to man. I remember working with Hammerhead, which was a loooooooooong long time ago. put out music that we are both behind for 100%. 4) When do you guys produce while touring? Do you guys have a schedule throughout the year? Lars: We used to produce a lot on the road, but now we stick to finetuning arrangements and writing basic ideas when something pops up when we’re traveling, and we try and do as much as possible when we’re at home in the studio. We’ve got all this amazing gear and opportunities to record live instruments and we both really enjoy playing our synths, so the studio feels like the place where we can be most creative. 5) What kind of music you guys listen to outside the dance music spectrum? Maarten: I listen to a lot of jazz, soul and classical music at home just to create a relaxing environment for me and the family. Lars: I listen to a lot of indie like Junip or Nick Hakim, that kinda stuff. 6) Can you guys tell us about your production workflow? You guys give yourself timelines or keep it open to finish a project? Maarten: There’s no real method that we use or clear path to get from idea to a finished track. Some tracks start with a basic sample that we loop and we improvise on the keys around that. Sometimes, we’ve got a really cool synth sound that becomes the starting point of a track. It’s always an open process which takes as long as necessary. Some tracks are done within a day, and some take months before they’re done, just because we feel that there’s something missing and we need some time to figure out what. It could be something as small as a change in the snare sound, or something frustrating like a mix that doesn’t seem to come together. The good thing about our way of working is that – apart from remixes- we’re usually not really restricted by stressful deadlines, so it hardly ever happens that we’re stressed out to finish something. Running a house-oriented label nowadays isn’t exactly where the money is at, but it’s the music we love, so what can you do? 7) Now coming to your records label, Heist Recordings. How difficult is to do justice to each release in the label with the busy schedule? Do you guys have other people working for you to manage all the label activities? Lars: After starting the label, we quickly found out that, in order to do it properly, we needed some more people to handle the practicalities of it all. So, there are 2 people working on the label apart from us to do the production, planning, contracts, and other practicalities. Having this system in place means we get to focus on the music and visual style of the label and that has been working out great so far. 8) How much change did it bring to record label business with all the streaming services? Is it profitable to run a label in this era? Maarten: You can still be profitable as a label, although times have changed dramatically since the digital era. Running a house-oriented label nowadays isn’t exactly where the money is at, but it’s the music we love, so what can you do? 9) Finally, what have you guys heard about the Indian electronic music scene? How did you prepare for the India tour? What are the expectations for this tour? Lars: It’s gonna be our first time visiting the country ever, so we’re really curious to see what’s it gonna be like. We’ve met quite a few Indian people on our travels and they always seem to party hard and really love the music with all their hearts, so that’s a great sign. India to me seems to be a universe of its own and I don’t think there’s any country like it. We’ve packed a bunch of different records and we’ll see where the parties take us.